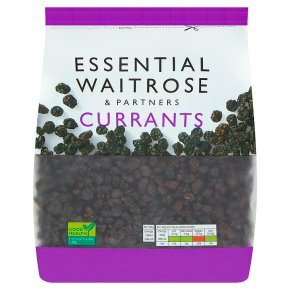 Essential Waitrose. Small black seedless grapes are carefully harvested during late summer and then dried in the sun. They are washed and cleaned ready to use in a variety of recipes.